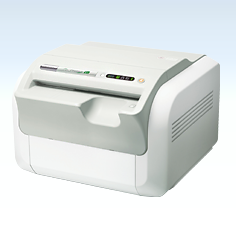 As with all Fujifilm equipment FCR PRIMA T2 is easy to operate. It will help reduce patient waiting time and greatly increase the efficiency of examination workflow. by offering stable and optimized image quality. MFP (Multi-Frequency Processing)* Enhances FCR images. All diagnostic scopes will be enhanced except for noise. FNC (Flexible Noise Control) Provides a non-grainy image by mainly isolating and suppressing the noise for the signal. GPR (Grid Pattern Removal) Removes the stationary grid patterns thus preventing Moiré from being generated resulting in easier diagnosis. This equipment is a Class 1 laser product (IEC60825-1:2001).